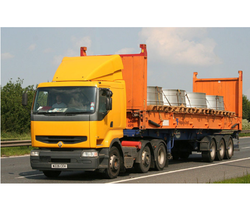 In order to comprehend and meet the assorted requirements of respectable clients, we are able to render DDP Shipments. DDP is the term related to "Delivered duty paid" which emphasizes on the obligation of the sellers to deliver the products at the destination within time. We are committed to delivering these courier shipments on time. We ensure that all the shipments are safely shipped. We deliver these courier within as well as outside India. We offer these services at a reasonable rate to our clients. YOUR LOGISTICS PARTNER FOR ALL YOU LOGISTICS NEEDS PAN INDIA, BE IT OCEAN FREIGHT, AIR FREIGHT, CUSTOMS CLEARANCE, TRANSPORTATION, PROJECTS ANYTHING !!! With our commitment to facilitating our clients with international standard DDP & DDU Shipments services. DDP means Delivered duty paid. We efficiently handle all the operations to ensure safe and reliable transmission to the clients. These services are provided by our experts, who make sure to use their commendable knowledge and rich experience. Offered at competitive prices, all our lathes are as per the needs and demands of the clients spread worldwide. 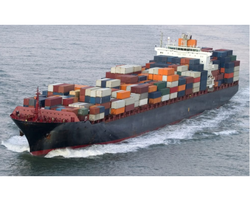 Our customers can avail DDP Shipments services from us. These DDP shipments widely used by those who are looking to promote their product. With the help of our reliable and trusted agents we deliver these shipments timely and safely. 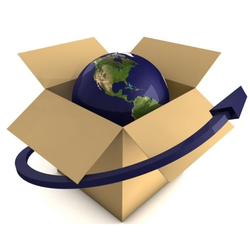 We ship these shipments for delivering in various continents all across the globe. Available in various packages, our range of DDP Shipments are high in demand by our clients who are spared all across the nation. An ODC Shipments is a cargo where the length, breadth or height is more than the standard container dimension (high cube, Reefer). There are specially designed containers or special equipment to carry the ODC. The cargo bigger than this special equipment is moved through specially designed vessels. In "Delivered duty paid" means that the seller fulfils his obligation to deliver when the goods have been made available at the named place in the country of importation. The seller has to bear the risks and costs, including duties, taxes and other charges of delivering the goods thereto, cleared for importation. Whilst the EXW term represents the minimum obligation for the seller, DDP represents the maximum obligation.